When illness strikes, it’s important to know what your options are. That’s why our Cancer Care team are on hand to support our members from diagnosis to treatment and beyond. 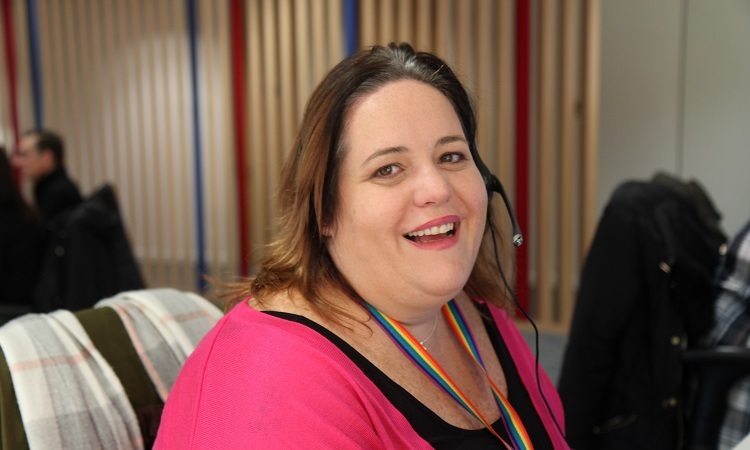 With the arrival of World Cancer Day on the 4th of February, we’ve been speaking to Nicola Collins, Team Manager in the Cancer Care team, about her experience and why she chose to join the fight against cancer with AXA. “I used to work as an anaesthetic nurse in theatres and as a scrub nurse for 18 years. It was my speciality and I really enjoyed it. I don’t want to blow my own trumpet, but I was really good at it too. The thing is, I came to a point where I’d been doing the same job, at the same level for over 10 years and there just wasn’t room for progression. So I had to make a choice; I either changed my speciality or I changed my job completely. A lot of my background is in orthopaedic trauma, so at first I thought about doing something like selling joint replacements and doing clinical training in that area. The thing is, I put ‘nurse advisor’ into a job search and this job at AXA came up. I didn’t really know that much about cancer per se because all my cancer experience had been surgical, but I thought I’d give it a go. Needless to say, now I work in the Cancer Care team, where we provide support to AXA members who’ve been diagnosed with cancer. We’re here to make sure they know what their plan covers, to offer support and assist with planning throughout the whole experience. It all starts with you calling the member: you introduce yourself and have a chat. Sometimes that’s a difficult conversation, because in a lot of cases they may have only just been diagnosed. We offer support and help them to get them set up, so they can see their specialist and we can find them the right doctors in the right hospitals. They might need advice on how to access services like Macmillan Cancer Care or where to go for financial advice. Then we’ll help them to plan their treatment. We’ll look at the report from the specialist and assess their recommendations in line with the member’s plan and the European’s Medicine Agency and NICE guidelines. It’s important that they know what the limitations of their plan are, so that they don’t go ahead with treatment and then get a bill they weren’t expecting. I think the most surprising thing for me when I first started in this role, was to discover that I’m really good at it. As a nurse you use your skills in a different way and you’re not really exposed to an office environment like this; the IT, the meetings and liaising with other teams. I’ve realised that I’m actually quite IT savvy and I’ve discovered a lot of skills that I didn’t know I had. One of the best parts of my role is the flexibility. I’ve got two children, so it’s been important for me to be able to fit my work around things like school and nursery. The nature of the work and the fact that I have a really good manager has meant that I can be more flexible as long as I’m getting my work done. I put in the hours I need to, but I can move things around too so that my work fits in with my family. You also don’t have to work at Christmas which is amazing and to know that you can spend bank holidays with your family is really nice too. Working here is much more life-friendly and you get out what you put in. If you work hard then you’ll get rewarded and you can move up the career ladder because there’s room for progression. It’s a good job and if you work hard then you’ll be rewarded and you can go as far as you want to go. I was promoted to a Team Leader last March after four years with the company. I’ve also recommended some of my friends to apply for jobs here. There’s no limit, it’s just about what you want.